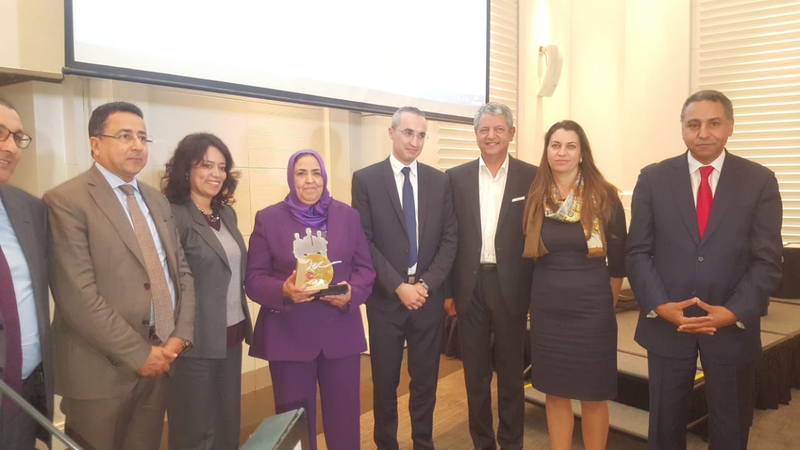 At the event of the research awards ceremony of the Order of Chartered Accountants (OCA), held on January 14, 2019 in Casablanca, a tribute was paid to Ms. Saida MESRAR, Pedagogical Advisor of the Groupe ISCAE Chartered professional Accountancy program. Through testimonies laden with sincerity and emotion, the representatives of the Order have expressed their gratitude to Ms. Saida MESRAR, who has provided the secretariat of Groupe ISCAE Chartered professional Accountant program since its inception, in 1990. These acknowledgements are proof of the unconditional and unfailing commitment of a professional and pleasant public servant, who has always performed his job with love and devotion. Ms. Saida MESRAR is retiring, with a sense of accomplishment and will undeniably leave her mark.